Is Spring Fair 2017 in your diary? February 5 – 9, 2017 will see us return to Spring Fair – the UK’s biggest annual gift show and a key trading opportunity for many of our clients. Aspin will be exhibiting in Hall 5, Stand 5A70. 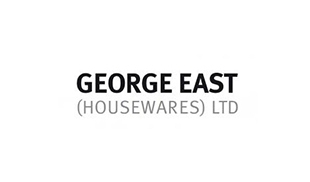 Suffolk based George East Housewares adopted PixSell in 2015 for their reps on the road. National Trade Sales Manager Tony Golby has left us some fantastic feedback on the positive impact that PixSell is having on their business. Aspin at GIMA workshop today! We are at the Stratford Garden Centre in Warwickshire today to take part in the GIMA ‘Negotiation Skills’ workshop for garden industry sales people – and it’s great to see so many of our clients and PixSell users here. We would like to wish all our customers a Merry Christmas and a prosperous New Year for 2017. Aspin will close the main support/sales office from Friday 23rd December at 5:30pm, re-opening on Tuesday 3rd January 2017. Aspin have joined forces with K3 Syspro to provide an integration module for PixSell iPad ordering and Syspro. The parties have identified a partnership to benefit distribution businesses that use Syspro and may be looking for an order taking system for their sales reps.